Bob Ardern combines tuneful and melodious sounds with lyrics that conjure visuals and images and pulls it all together with masterful finger-style guitar playing. Willing to let his emotions show through his songs and not afraid to set off along the musical road-less-travelled, Bob takes you on a journey that entertains, surprises and stimulates. "I like to write songs that do more than simply rehash what everyone else has written. My music makes you think and touches nerves. I want to be more than just another writer of love songs so I look for inspiration from newspaper headlines and history books, from the views outside my window as well as the reflections in the glass." Having grown up in the golden era of folk music, Bob learned from some of the great names of English fok. While retaining the influence of English finger-style musicians, Bob listened to and was affected by Canadian and American roots music as well. The two styles added to each other to shape the style of music Bob plays and writes. Released in early 2010, Bob�s most recent CD is entitled Come From Away. The music on the CD celebrates his move to Nova Scotia and the joy of living there. It also takes a look at history of the Maritimes and its association with the sea. For instance, Chasing The Sirens is about growing world-weary in the corporate working environment; Convoy is about sailing out of Halifax during WWII and the Battle of the Atlantic; Leaving for Lunenburg is a humourous dig at life in the big city. The new CD builds on the experiences of two previous records. Not Really Homeless is a 2003 release of a suite of guitar instrumentals. 2006�s Returning Home explores the emotional turmoil of making major life changes, travelling the world looking for answers and eventually going back to your roots. In the last few years. Bob has played Lunenburg Folk Harbour Festival, Brampton Folk Festival, Barrie Roots Music Festival, Live From the Rock Music Festival, Trout Forest Music Festival, Minesing Unplugged and the Orillia Folk Society's FridayFolk series. 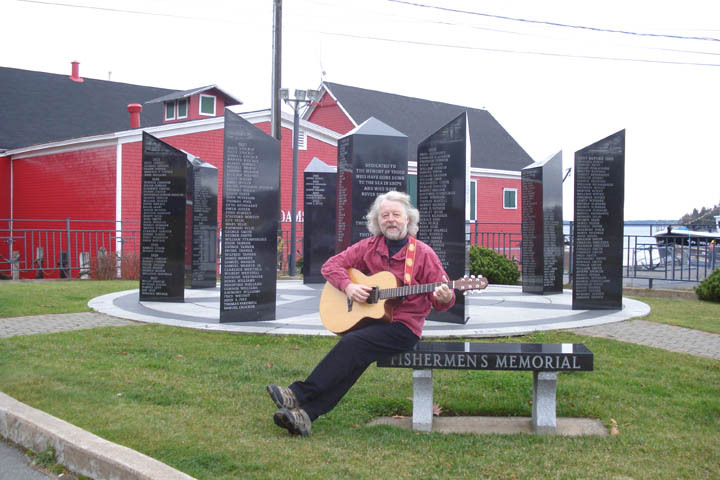 He has also played at Lunenburg Sessions, Folk Harbour�s Kitchen Party in Cole Harbour, the Night Kitchen concert series in Wolfville, The Carleton�s Sing For Your Supper and The Rose and Kettle Sessions.